The catalytic event for the creation of a brand is usually; a new product or service, a product or service innovation, a shift in the commercial model, a market development or a new route to market. A new MP3 player led to the creation of the brand “iPod”. A product innovation gave rise to its sub-brand such as “nano”. A shift in Apple’s commercial model created the retail brand “Apple Store”. A smartphone market development inspired the creation of “iPhone” and a new route to market gave us “iTunes”. Granted all these are sub-brands of Apple but they are brands all the same; each one has a specific essence, each one would be snapped up if put up for sale on the open market. Every one of these catalytic events in its own way led to the creation of a powerful brand. However, the shape and essence of a brand is not so much defined by the way it was created, moreover a brand is shaped by the behaviour of its people. In the case of Apple, the behaviour of the owner, Steve Jobs. Operating outside the establishment and challenging the status quo characterise the “Rebel”. Steve Jobs was the essence of the Rebel and so were Apple. Jobs consistently challenged that status quo whether in hardware design, software design, integrated systems, music consumption, personal communication, tablets and the list goes on. The energy with which he defied convention, challenged the orthodox and reset the rules typified the rebel. In many ways Jobs was the Alexander the Great of our time. Never defensive, he conquered territory after territory and took on the seemingly unassailable and was victorious (IBM, Microsoft, Sony, Nokia to name a few). Alexander the Great also conquered the known world and also died prematurely. His empire like Jobs’ was built on offensive-rebel behaviour, never resting, never defensive, once victorious he set off for the next unassailable challenge. 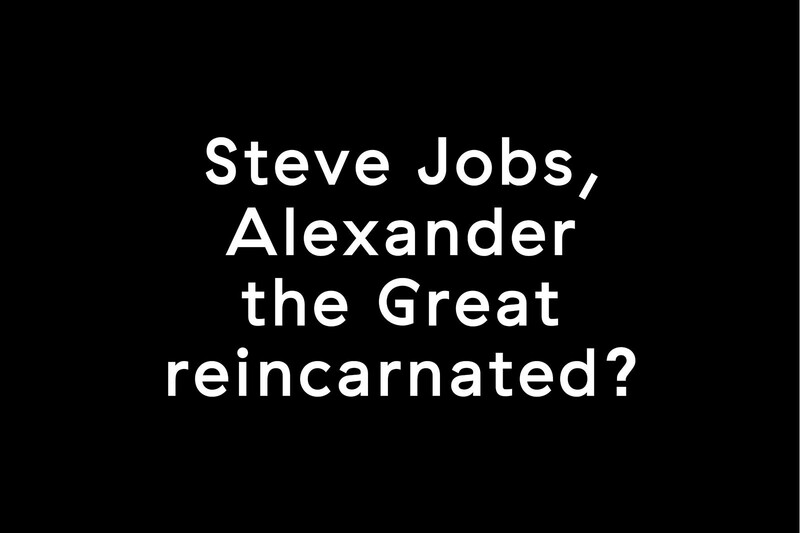 The comparison of Jobs with Alexander the Great raises a fundamental question about brand behaviour. The success of Alexander the Great’s Macedonian empire was dependent on “Rebel-Offensive” behaviour. Once their charismatic leader was prematurely dead and it fell to his successors to change their behaviour and to “Defend the Palace”, to defend the empire and not conquer new territory, the whole Macedonian Empire collapsed. Will the same happen to Apple? Now the Offensive-Rebel behaviour of Jobs has gone and his successors are grappling with the complexities of “Defending the Palace” rather than the simplicity of “Attack”, will this fundamentally change our behaviour, or fundamentally change the essence of Apple? If so, could the whole empire collapse under the strain of defence? Only time (and Samsung) may tell. “America” and “Arc’teryx” are two other brands characterised by behaviour. When Arc’teryx founder Jeremy Guard set out on a journey to build a global clothing phenomena his objective was simple. “Kill the Patagonia Torre Jacket”. His view was that the Torre jacket, in spite of being the market leader, was short changing the market and it should be killed. He tasked his team to do just that. It took them ten years to complete their task and in the process they built a multi-million dollar apparel company. In their focus to; out-design, out-construct, out-articulate and out-smart Patagonia they created a paradigm shift in performance apparel. Guard didn’t task his team with complexities of; consumer, trend, material, competitive and benchmarking research, he simply set the very clear objective of “Kill the Torre”. The outcome was that his company became “pack-like”. They were like a pack of wolves, highly aggressive, highly motivated and highly effective. 20 years on, Arc’teryx is both revered and feared in equal measure. With Russia already in orbit and the USA struggling to even get off the ground, Kennedy – like Guard, used a simple objective and turned his people into a wolf pack. In 1961 Kennedy announced to the world that by the end of the decade the USA would put a man on the moon. In a single speech with a single, simple objective Kennedy turned America’s academic, scientific, financial, engineering and aeronautical institutions into a wolf pack. Arguably never before or since has the brand (sorry, country) been so unified around highly aggressive, highly motivated and highly effective behaviour. When a brand is created there is often an innovation that helps differentiate a product but in the absence of a long history, reputation or heritage, it falls upon the behaviour of its people to differentiate the brand. Two recent brands that illustrate this are UVU and Valor. UVU is an Ultra Marathon brand entering the extremely competitive running market. The insight that created the name was simple; during all endurance races there is a point where the resolve of the mind has to overcome the exhaustion of the body. It is the ultimate you versus you, UVU. The product is differentiated by “Extreme Craftsmanship”. The concept of “Extreme Craftsmanship” encapsulates the extreme lengths the designers and product developers go to in the creation of product innovation. This is a statement of “Design Behaviour” not “Endorser” or “Athlete behaviour”. Athlete behaviour is what defines the mainstream running brands such as Nike. “Design Behaviour” is what came to define UVU under the concept of “Extreme Craftsmanship”. The process of the product development included the designers running up to 50 kilometres at a time, traversing La Gomera, then Fuertaventura and finally completing The North Pole Marathon. This extreme “Design Behaviour” helped UVU create authority in a very competitive market and it also differentiated UVU from the “Softer” running brands. It helped produce a jacket that not only won The North Pole Marathon but became the first jacket to run a Marathon on each continent in less than 6 days and become the first jacket to run 200 kilometres in one run on the continent of Antarctica. The behaviour of new tailoring brand Valor takes a different tack but is no less potent. Michael asked for our help and we were convinced by insights we had gleaned from our work on performance brands. I asked the same question to a guy called David Benedek, who at the time was the best snowboarder in the world. I asked him if he looks down at the design of his board does it help? He said, “If I look good I’m more confident and I’ll do better tricks” I asked the same of Mike Douglas the freestyle skier – who said the same thing. Aesthetics and how you look determines how you perform. It’s the same as when you were 7 years old and you played football for the first time and you wore your new boots and kit, with your shirt tucked in it helped you to believe you could play. You did play better than you would in your jeans. So “aesthetics as a performance attribute” is a really powerful insight that not many brands get, certainly not in the suiting and tailoring sector. With such comprehensive insight, we were ideally qualified to treat Valor as a slightly unlikely performance brand. Applying those same sensibilities to a tailoring brand isn’t such a leap though, as Michael continues. Making a tailoring brand behave like a performance brand for business is a novel approach and one which Michael Jacobs could see would help him create; brand meaning, brand authority and brand differentiation from the start. Conceptually all seems to be in place, but how that informs their branding and logo could have been tricky. With sports performance brands the aesthetic is different and perhaps lends itself more to logos and a set look. With a more tailored, formal feel the challenge to create visual branding is different. The name is Valor, which is about reaching your potential by behaving in the right way and doing it for the right reasons. Take something as prosaic as a tie – the tie was created by the Croats for war, which is where the word Cravat comes from. It was a symbol of war – absolutely part of the suit of armour. The suit is the suit of armour and the shop is the armoury, therefore the brand is Athena equipping the 21st warrior to achieve his goals. Finally, winning isn’t everything, the key point is that this is not about winning for its own sake – it’s about winning beautifully. Not just winning to win. That’s Valor. It is further proof along with UVU, the USA, Arc’teryx and Apple that a brand can be defined as much by its people as its product.